Can't make up your mind between the 2017 Hyundai Elantra and the 2017 Mazda3? Come see us at Spinelli Mazda in Lachine and take the new Mazda3 for a spin. You'll see for yourself how much it has to offer! Boasting a more athletic design, the Mazda3 is recognisable at first glance: slender and elegant silhouette, imposing grille and wheels that can be up to 18-inches make it a vehicle that won't go unnoticed on the highway! Let's look at it a little closer to see all the advantages it has over the competition. With its 2.0L 4-cylinder SKYACTIV, the 2017 Mazda3 offers you 155 horsepower, compared to 147 for the Elantra. Also, you can might want to opt for the 2.5 L 4-cylinder SKYACTIV which provides 187 horsepower! More features than its rival. Windshield wipers with rain sensors, heads-up display, road sign recognition, headlights LED brake and fog lights and i-ELOOP regenerative braking system are a few of the features you will find in the Mazda3, but not in the Elantra. Your 2017 Hyundai Elantra comes with a basic warranty of up to 100, 000 kilometres. The Mazda 3 goes even further, by offering you the very first unlimited mileage warranty! Three sedan models...and 3 hatchback models! 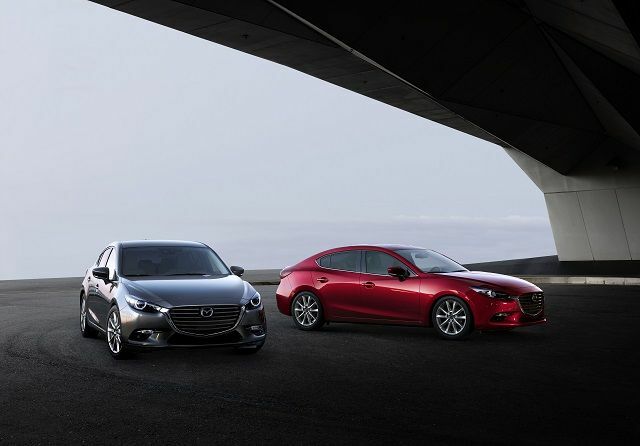 Unlike the competition, the 2017 Mazda3 comes in a sedan and a hatchback. Whatever you're looking for, you'll surely find the car that best meets your needs and your budget! And speaking of budget, ask about our different Mazda financing products as well as our very beneficial Mazda promotions that are available on our new models and in-stock used vehicles. 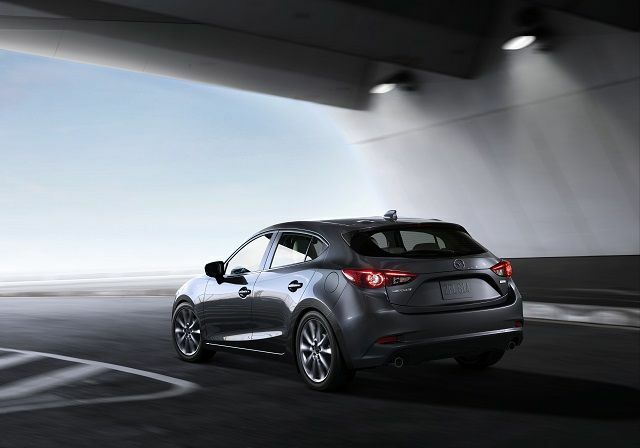 Don't wait any longer and come see us soon at Spinelli Mazda in Lachine and come take a test drive in the Mazda3; you'll see for yourself how remarkable it really is!